"Shop Till You Drop" air play. 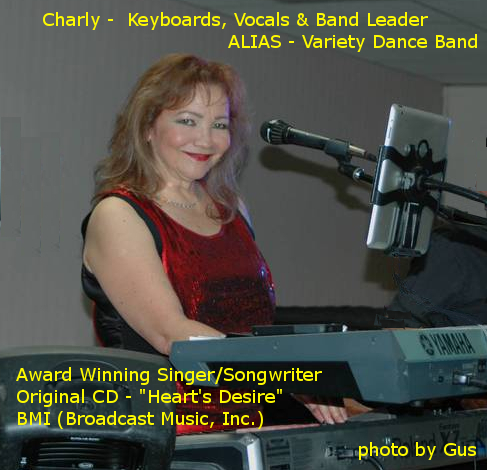 Words and music by Charly from Heart's Desire Album - reported by BMI. "Best Out of County" category. This category covers all styles of music, so it was extra special to be nominated. Over 35,000 entries in this annual music contest, held by Just Plain Folks, an international musician networking organization, for song, "HEART's DESIRE"
CCMA San Diego regional competition, July 2000 for song, "ONE FINE DAY"
Copyright © 2019 Alias Band San Diego. All Rights Reserved.